The vanilla 'Turn Undead' enchant is pretty lame. This mod ADDS 15% extra damage to 'Turn Undead' MELEE weapons vs Undead. Player Turn Undead enchantments now have a start base that effects undead up to lvl 13 (instead of 10). Wearing a Divine Amulet (any except Arkays) will increase TurnUndead enchanted melee weapon damage vs Undead by 5%. While exploring, you find cool sounding weapons like the Blessed WarAxe, or Sanctified Mace, or Reverent Sword.....wow, sounds like those filthy undead are in trouble now! 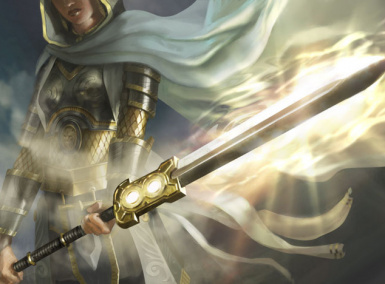 These weapons are perfect for a Paladin or Cleric RP play through...right? Nope, not really. Even IF the undead don't resist the effect (which they likely will), you then have to chase it all over the place in order to finally kill it. It's often easier to just kill undead using a non-enchanted weapon....which kind of defeats the purpose of the Turn Undead enchantment. This mod makes the 'Turn Undead' enchant more effective vs undead! Any MELEE weapon enchanted with 'Turn Undead' does 15% more damage vs undead. This includes the blessed/reverent/sanctified weapons found randomly, as well as any you enchant yourself. ADDITIONALLY, wearing a Divine's Amulet will further increase that damage vs Undead by 5%....wearing an amulet of Arkay increases it by 10% (for Lore reasons). **Also, the undead target can still resist the effect if it is too high a level vs your weapon's Turn Undead enchantment level! ***this mod IS compatible with EVERYTHING!